At CedarPaws, we follow a similar protocol as the Jean Dodds Minimal Vaccine Protocol. The goal is to reduce the amount of vaccinations given to your dog while still maintaining optimum antibody levels. Once your pup has received their 16-month Parvovirus + Distemper vaccine, they can receive titers from then on to check antibody levels to avoid needing to repeat these vaccinations. Note that rabies is required by law and a titre isn't available. 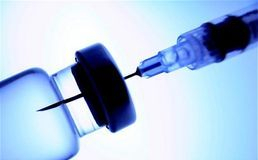 Rabies titres cannot serve as proof of an animal’s current vaccination status, and do not meet the legal requirement for vaccination of animals. There are no laboratory tests (i.e. rabies titres) that can be used to establish exemption from the requirement for an up-to-date rabies vaccination status. Exemptions can only be issued on the basis of an animal’s physical condition which would preclude safe (re-)immunization. The Adenovirus causes swelling and cell damage in the liver, which can result in hemorrhage and death. It is passed through feces and urine of infected dogs. CedarPaws is not situated in a risk area for this virus and we do not vaccinate against it. The measles vaccine is supposed to provide temporary immunity to puppies against distemper by 'cross-protecting' them against measles. CedarPaws does not administer this vaccination. Parainfluenza is canine influenza. It is extremely contagious but usually passes on its own, much like human influenza (although your vet may choose to treat with antibiotics and antiviral drugs). CedarPaws does not vaccinate against Parainfluenza unless prevalent in our area. Bordetella is more commonly known as kennel cough. It is a bacteria that is spread through airborne contaminants, and exposure to infected dogs, food bowls, water bowls and cages. If contracted it is treated with antibiotics. CedarPaws does not vaccinate against Bordatella unless there is an outbreak. Lyme disease is spread through tick bites and can cause swollen lymph nodes or lameness. If left untreated, your dog may experience inflammation in their nervous system, heart and kidneys and it could potentially lead to death. Lyme disease is not prevalent in the Northumberland Hills and CedarPaws does not vaccinate against it. Leptospirosis is a bacterial infection contracted by consuming urine-contaminated water or coming in contact with infected urine. This has become much less common in recent years and most vets don't recommend it unless there have been numerous cases in your area. CedarPaws does not administer this vaccination. Heartworm larvae are transmitted by mosquito bites whereby they then travel through your dog's bloodstream to the pulmonary and cardiac arteries. It takes 5-7 months for the larvae to mature into threadlike worms which can cause damage to the cardiopulmonary system because of the body's inflammation response, as well as strain on the heart due to blood vessel damage. Whether or not you need to treat for heartworm really depends on where in the country you live. Southwestern Ontario is by far the worst area in Canada for the prevalence of heartworm. Other areas of concern include southern Manitoba, southern Quebec and southern mainland British Columbia. It is theorized that the disease was revived when dogs were rescued and adopted after Hurricane Katrina. CedarPaws does not administer preventative treatment against heartworm since we are not in a high-risk area. Discuss with your vet what your options are and what the risk profile looks like in your area. Dogs contract fleas by coming into contact with infested dogs or wildlife, or into an area where fleas were dropped from these sources and they then jumped onto your dog. Ticks ambush your dog by crawling up grass or low shrubs that are about 18 to 24 inches off the ground and waiting until your dog passes by. An interesting fact is that ticks can live well over a year without feeding. Flea bites can trigger allergies in your dog, cause anemia (with severe infestations) and transfer tapeworms. Ticks can transfer diseases like Lyme disease, Rocky Mountain spotted fever, tularemia, ehrlichiosis, and other diseases - some of which can be deadly. It is important that your preventative of choice come from your veterinarian and not from an over-the-counter store. The issue with buying flea collars and other such products over-the-counter is that their wide availability and use is creating a tolerance to the chemicals used among fleas and ticks and therefore they are not as effective. Keeping your outdoor spaces well-groomed and limiting carpeted areas within your home can help to control fleas and ticks naturally. Talk with your vet about what is appropriate for your dog and make sure you follow the package directions carefully. Depending on where you live in the country, your vet may advise you that you can discontinue flea and tick prevention in the winter months.